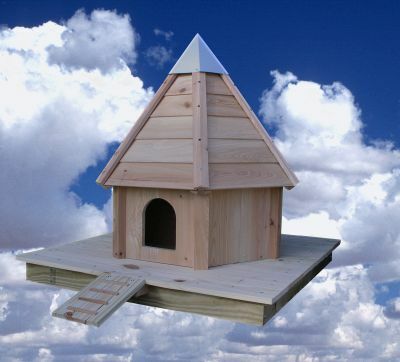 Top Quality Cypress Construction makes this Duck makes this floating duck house a mansion for your feathered friends. Easy assembly with easy to follow instructions plus a bag of wood shavings makes an ideal start of a nest to cozy things up inside. beautifully constructed 42" square deck with walk up moat makes entering this abode super easy.